Acidophilus, also known as lactobacillus acidophilus, is a type of bacteria found in some foods, and it may be taken as a supplement. You may consume these bacteria to help your digestive tract function properly or to prevent certain infections. Although these bacteria are generally safe, risks are associated with their use, particularly if you consume large quantities. The human body naturally contains certain bacteria that do not cause any infections, including the lactobacillus acidophilus bacteria. The acidophilus bacteria are an important part of the digestive tract, because they take up space and resources that would be used by infectious bacteria. Acidophilus bacteria also produce some vitamins and help break down lactose. Taking acidophilus supplements may help you maintain the health of your gastrointestinal system, particularly after taking a course of antibiotics. Although acidophilus supplements are generally safe, they can cause some health problems. For example, if you allow too many of these bacteria in your gastrointestinal system, they can get into your bloodstream, resulting in a condition known as sepsis. This is a particularly grave risk for people with human immunodeficiency virus or those taking immunosuppressants due to an organ transplant or as part of cancer treatment. A June 2006 article in the "American Journal of Clinical Nutrition" reports that if your immune system is not completely healthy, taking too much acidophilus may result in dangerous infections. Other risks aside from infection are associated with overuse of acidophilus. These bacteria play a role in the metabolism of carbohydrates, fatty acids and other nutrients, and taking too much acidophilus could alter the way your body breaks down nutrients. Acidophilus bacteria also help stimulate your immune system; consuming too many of these bacteria could alter the way your immune system works in the long term. The recommended dose of lactobacillus acidophilus bacteria is between one and 10 billion living organisms, which can be divided into three to four doses each day. Supplements can also be given to children to help prevent digestive problems, particularly in newborns or prematurely born children. The dosage depends on the condition and health of the infant. 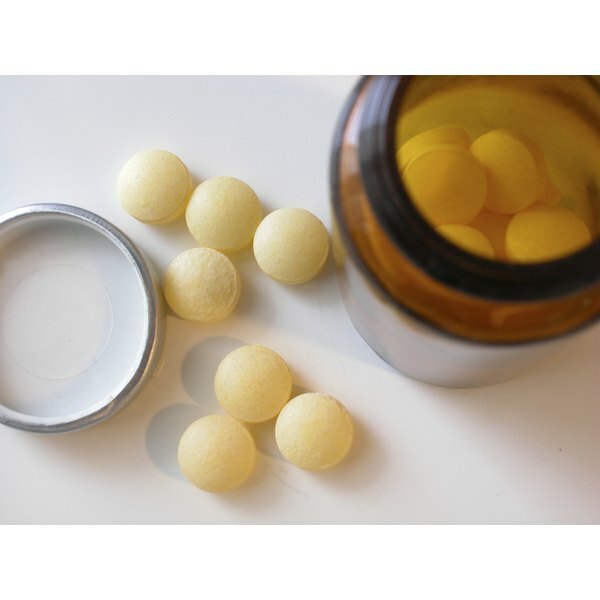 You may also use specially designed vaginal suppositories to treat yeast and urinary tract infections; such suppositories typically contain between 100 million and one billion organisms.